Forklifts are found all across the world; wherever there’s a need for moving heavy loads, organizing goods or transporting merchandise, you’ll find a forklift nearby. Because they’re such an integral part of everyday commerce, it’s useful to review a few forklift figures. Unless you’re an industry expert or “forklift geek,” it’s a pretty good bet you didn’t know the following 9 forklift statistics. Sales are staggering. 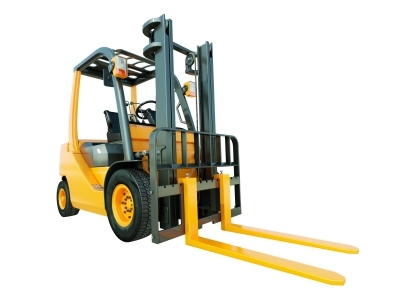 In 2013, the top 20 forklift manufacturers posted sales of $30.4 billion USD. Accidents are aplenty. Unfortunately, forklift accidents still occur too often. The Occupational Safety and Health Administration (OSHA) estimates roughly 85 fatal accidents yearly, along with close to 35,000 injuries. The forklift family tree extends far and wide. There are over 20 different types of forklift designs, from the standard design to sideloaders, Flexi Trucks, telescopic handlers and many others. Over a million forklifts are “born” annually. The 20 forklift manufacturers alone produced over 944,000 forklifts in 2013. Forklifts come in practically any price imaginable. They cost anywhere from $15,000 to over $150,000. Much like the automobile market, there’s a style and design for everyone. They recently turned 100 years old. The modern forklift’s “forefather” were battery-powered platform trucks used by the Pennsylvania Railroad for moving luggage. Yep, necessity has always been the mother of invention. There’s a one in ten chance a random forklift will be involved in an accident this year. Forkliftcertification.com can save your business thousands of dollars in potential penalties. OSHA regulates workplaces all across the country, and a surprise visit could mean significant finds and other operating losses. Forkliftcertification.com looks forward to meeting and exceeding your forklift training needs. Our comprehensive assessments provide superior instruction at a fraction of the cost other companies charge. Additionally, we supply quick credentials so your workers are on the job immediately – there’s little or no downtime involved for your business. If you need additional information on our complete suite of services, visit our contact page, or call us at (888) 278-8896. We look forward to hearing from you. And thanks for reading our blog!